NOTE: Documentation for 3.1 will be updated soon. 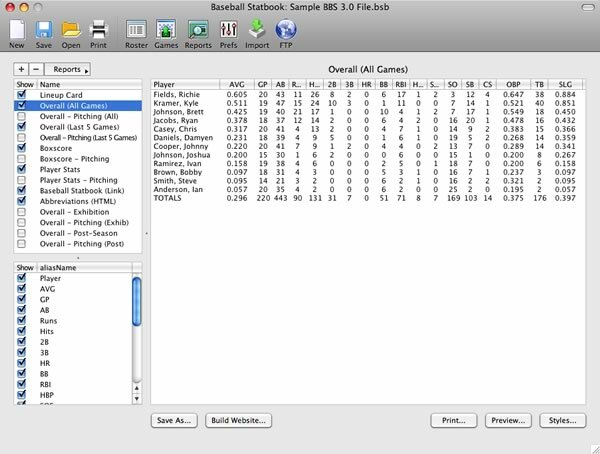 Here is a quick rundown of all the features as well as answers to some of the most frequently asked questions about Baseball Statbook. For Versions 2.0 and before please see the Quick Start page.